Signamax has introduced Category 6A, 6, and 5e Plenum and Riser Cables in order to offer our customers a High Performance yet Cost Effective Market Leading end to end Copper Solution from one Manufacturer. To learn more contact Vertical Datacom or visit http://www.signamax.com today! Vertical Datacom is pleased to announce that we are the Telco / Utility Representatives for Fiber Fox Fusion Splicers. Core Alignment and Active Clad VGroove Fusion Splicers and 12 Fiber Mass Ribbon Splicer. 3 Year Factory Warrantied Supported by our Splicer Lab in New Jersey. Units come with 2 Batteries, and both Sheave Clamp and Fixed Fiber Holder Capibilities are available. Fiber Fox America has thought of everything in one Ruggedized Yellow Box ready to run out the door and begin splicing immediately! Call Vertical Datacom today and let us demonstrate the power of Fiber Fox Fusion Splicers! 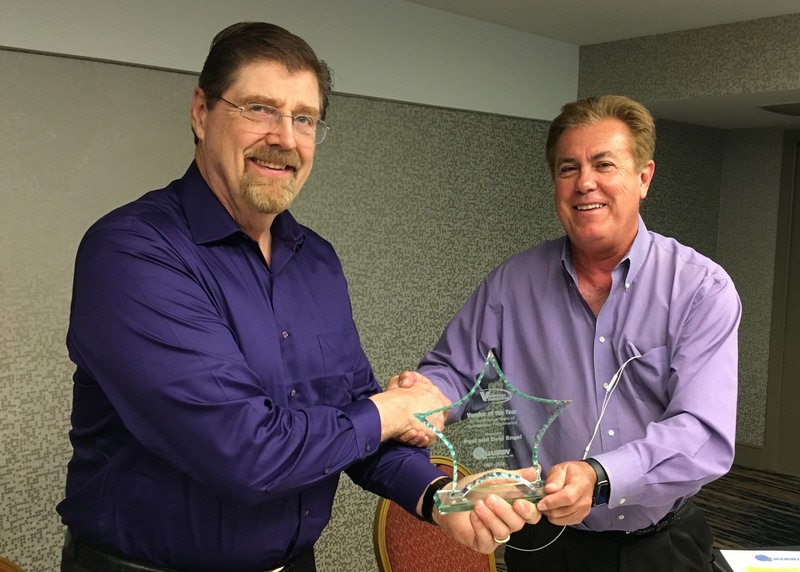 VDI President Mark W. Smith presenting VDI Vendor of the Year Award to Quabbin President and Owner Paul Engel at the 2016 Representative Meetings in Dallas 2016! 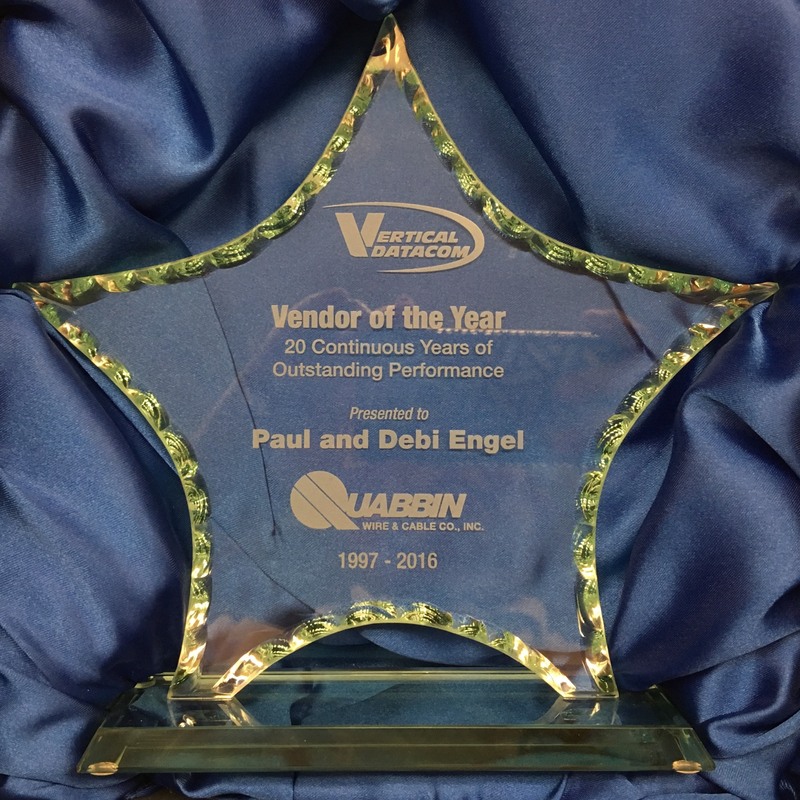 VDI has represented and partnered with Quabbin Wire and Cable for 20 Years as of May 2016!